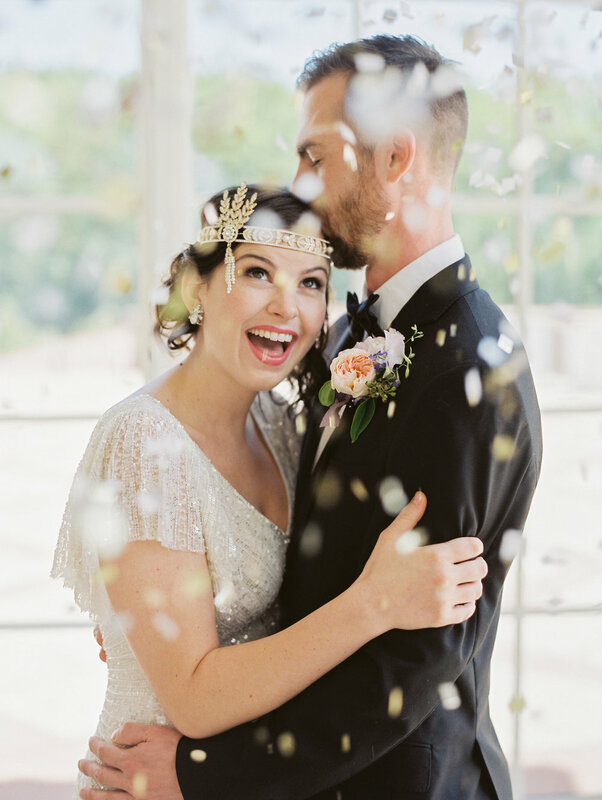 This past spring I planned a styled shoot at Congressional Country Club in Bethesda, Maryland and it was recently featured on the 100 Layer Cake Blog! 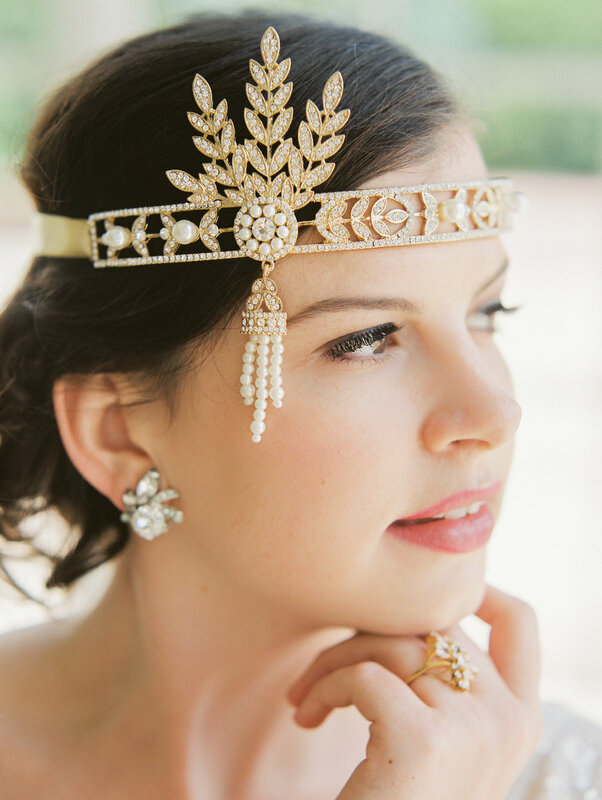 The gorgeous model from our ethereal coastal shoot, Samantha Jaeger, is the director of weddings and events at Congressional, so she asked me about organizing a Gatsby-themed shoot to show off the grandeur and history of the club. With this shoot, I was still loving the color purple in late spring (even after my moody ballet shoot) but wanted to use the color in a more pink-toned, springlike way. 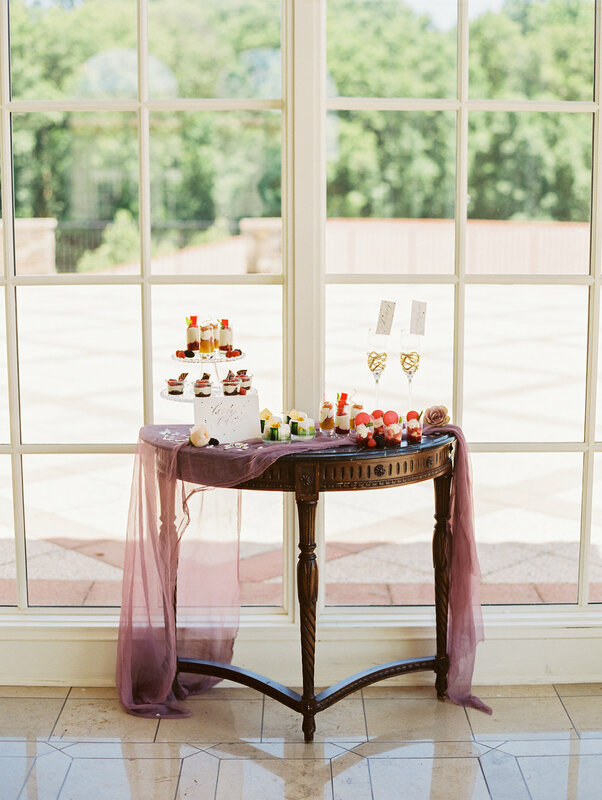 Sweet Root Village crafted an incredible peony-filled runner for the head table and Caitlin Joyce Photography (formerly CJK Visuals) captured some gorgeous images on film. Scroll down to see the complete vendor list!